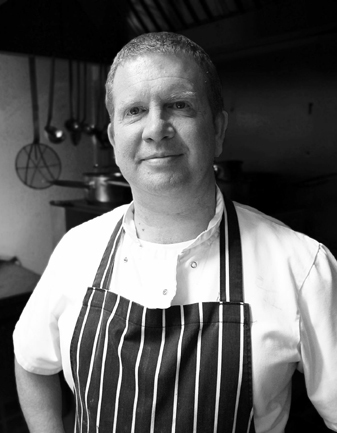 Chef Karl Bashford prides himself on producing honest, earthy food in his kitchen at 17th century The Anvil Inn, in Pimperne, Dorset. In the summer, he relies on the abundance of fresh fish from the local coastline such as lobsters, whole fish and shellfish. 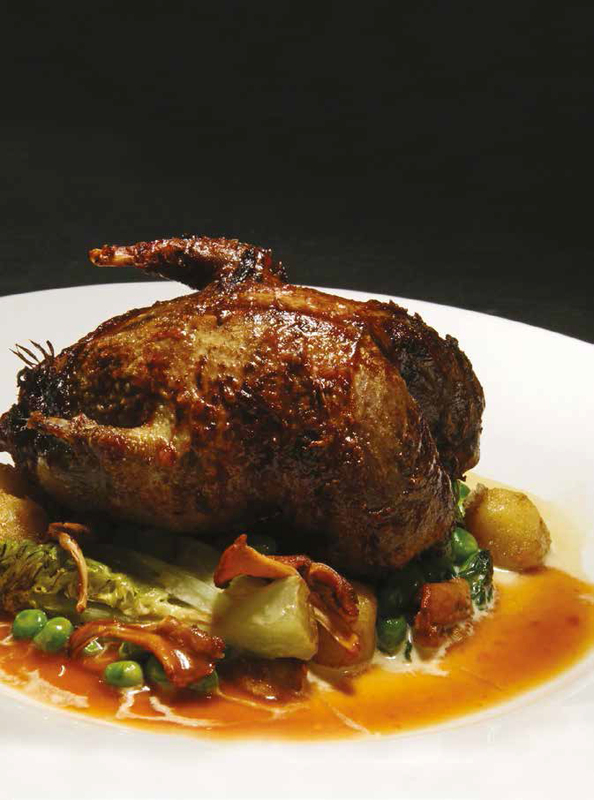 In the autumn and winter months, the local shoots provide plenty of game for the kitchen, including partridge, venison and grouse. Karl and his wife Zuzana are also proprietors of The Half Moon Inn, Melplash, which was a new entry in 2016’s Michelin Guide and Eating Out Pubs and awarded a Taste of the West Gold Award for 2016. Prior to taking the helm at The Half Moon, Karl and Zuzana earned accolades at The Three Horseshoes in Powerstock, receiving many awards and Guide mentions, including: Michelin Guide recommended 2011 to 2015; Michelin Pub Guide 2011 to 2015 (Inspectors’ Favourite, 2015 edition); AA Rosette 2012 to 2015 and Trencherman’s Guide 2015. Originally from Croydon, Karl first moved to the West Country in the late 90s. A late starter in the kitchen, he didn’t start cooking till his late 20s. He went to college in Salisbury part time, then moved to Bristol where he ran a pub for his family business. Whilst there he completed his level 3 NVQ at Brunel College. 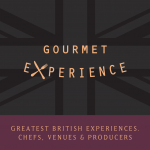 After gaining experience in kitchens of Somerset, he moved to London, where he worked for Gordon Ramsay, and then for Gastro Pubs as a Head Chef in Covent Garden, Hammersmith and Hampstead Village. 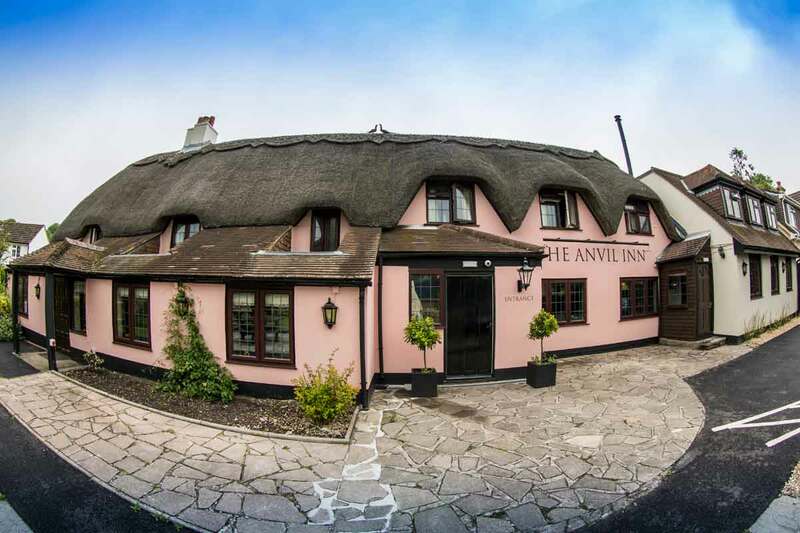 17th Century country pub & 4-star hotel offering the very best in Dorset food and hospitality. Brown off the pigeon in a pan, roast for 12-14 minutes until pink, rest for 10 minutes. Torch the gem lettuce with a blow torch until scorched. In a suitable size pan sweat the shallots in oil, add wine and reduce by half. Add the chicken stock, bring to the boil, add lettuce, reduce heat and simmer until the lettuce is tender. Add peas, spring onion and cream then reduce to thicken and season. Then sauté the chanterelles in butter and season well. To make the dough for the gnocchi, bake the potatoes in the oven until the flesh is soft. While still hot carefully scoop the flesh into a sieve over a mixing bowl. Pass the potatoes through a sieve, add the flour and egg to the potato and knead gently to form a soft dough and season - some more flour may be required depending on the size of egg. To make the gnocchi, dust a clean surface with rice flour. Using both hands roll out the dough into a sausage shape rolled to a 1/2 inch thickness. Cut the roll to 1-2 inch pieces. To cook, quickly add to salted boiling water. When the gnocchi begins to float they are ready to remove, then refresh in iced water and chill. When ready to cook, add the gnocchi to a hot pan with sizzling butter until golden brown all over. Add more butter as needed and season. To serve, place lettuce and peas in centre of a plate, flash the pigeon under the grill to heat through and then place on top of the peas, scatter mushrooms and finish with a jus.